Following the cult success of their grotty series Trophy Heads, venerable horror and fantasy imprint Full Moon unleashes Ravenwolf Towers, a chilling, seven-part horror series directed and produced by Empire Pictures and Full Moon founder Charles Band. The studio who will release one episode every full moon, beginning December 13 and, as a bonus for Full Moon film fanatics, embedded within each weird and wicked episode of the series, Band has found novel ways to re-introduce some of Full Moon’s most famous and feared characters and creatures into the narrative. 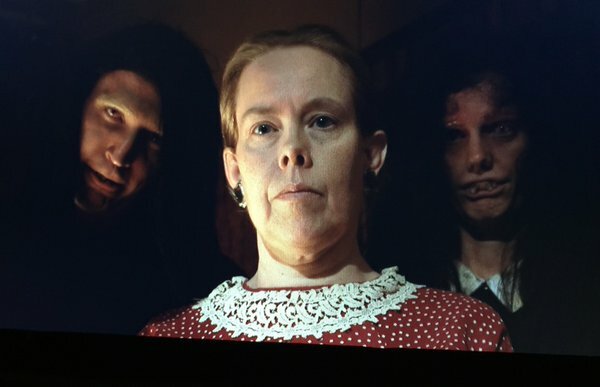 Ravenwolf Towers will stream on the Full Moon Amazon Channel, at FullMoonStreaming.com and will also be available on DVD. The first episode, titled Bad Mary, will debut on December 13. 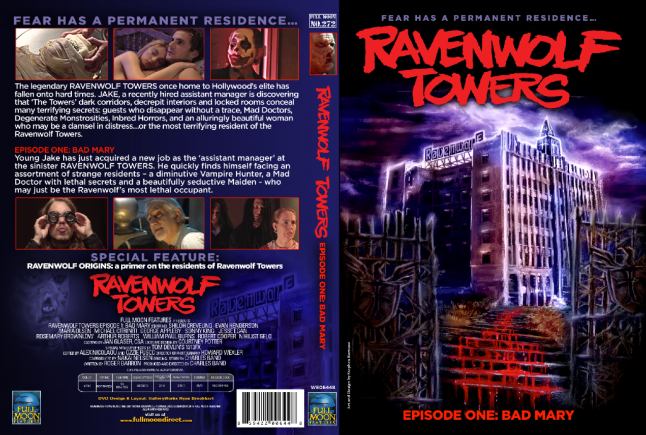 Synopsis: Ravenwolf Towers, the dark saga of a family of incestuous lunatics lording over the remains of a looming, formerly opulent and now dilapidated Hollywood hotel. Like a cross between Jack Hill’s 1964 Gothic shocker Spider Baby and Dan Curtis’ beloved horror soap opera Dark Shadows, Ravenwolf Towers follows the gruesome and bizarre adventures of Jake, the new assistant manager at ‘The Towers’ who is soon subject to the horror at the heart of the building: guests disappear without a trace, mad doctors meddle with madder science, degenerate monsters lurking around every corner and a beautiful woman who may be a distressed damsel in need of saving…or just might be the most terrifying resident of Ravenwolf Towers. Sounds plenty lurid and fun to us. Check out the trailer below!